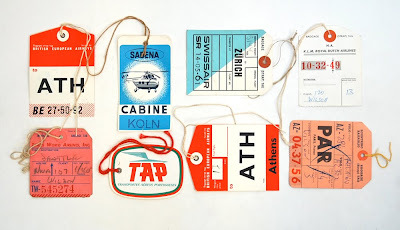 Vintage airline baggage tags (part 4). I can't believe the end of the year is creeping up on us! You've posted so many incredible collections so far. ps, where do you find all of these vintage finds? Very nice idea yo had...Bravo. Nice post :) Keep it up!